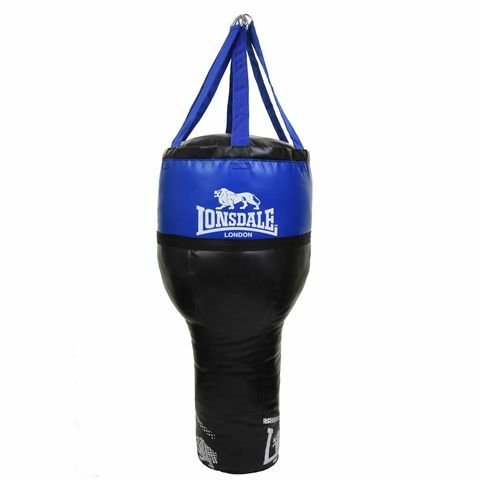 Perfect for daily exercising and raising boxing proficiency and overall fitness, the Lonsdale Club Junior Reflex punchball kit consists of children’s boxing gloves and spring-mounted reflex punchball suitable for youngsters aged up to ten. 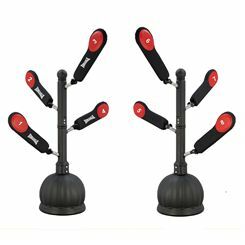 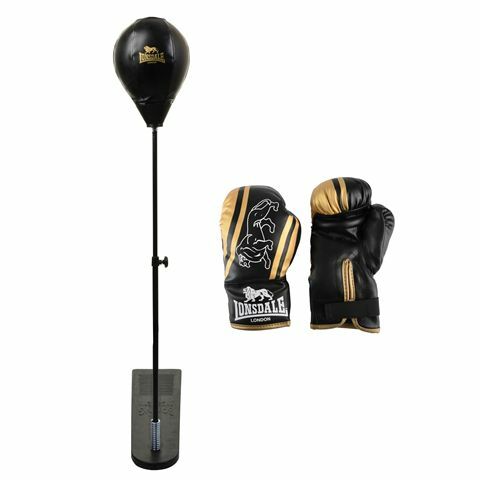 The set provides a straightforward way of practicing boxing moves, reflex, and eye-to-hand coordination, it’s also made from high quality materials, and safe to use on a daily basis. 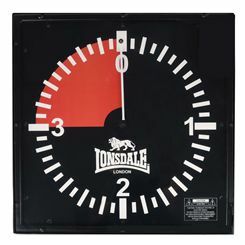 The set looks very professional with featured cool Lonsdale branding and vintage style. 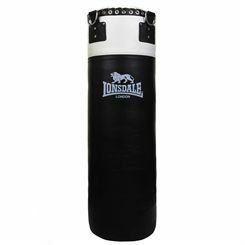 Excellent choice for uppercut and punching combination practice both in home environment and gym, the Lonsdale Lion Angle PU punch bag is a stellar choice for boxers, MMA fighters and other martial artists seeking comfortable training and unprecedented quality. 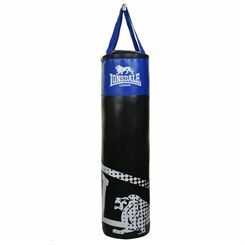 The bag is made with heavy-duty PU outer lining and features soft inner filling to attenuate punching shocks. 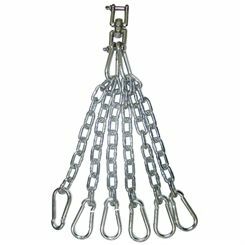 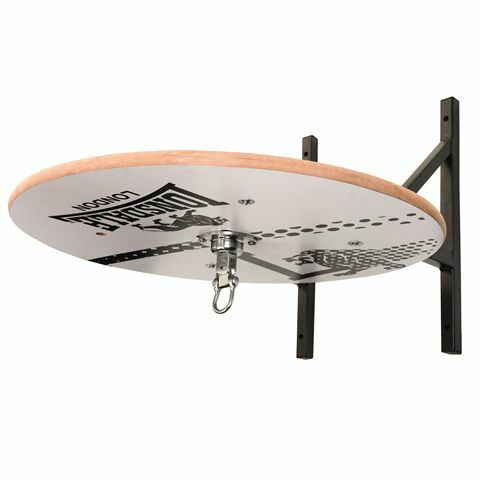 Furthermore, it does not require any hooks and chains, since it can be fixed using included straps, also it’s pretty weighty at 32kg (70.5lbs) thus ensures stability and comfort during heavy punching routines. The Lonsdale electronic gym timer is perfect for use in gyms and boxing clubs, with its highly visible 3" display, 4 level sound volume control and extra loud buzzer that’s made to be heard even in busy environments. 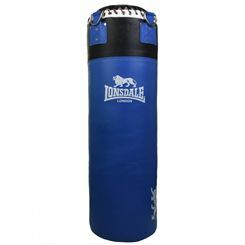 The touch buttons let you set the parameters you want for each session. 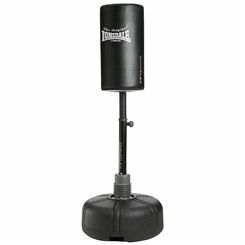 Rounds can be continuous or set from 1 up to 9, and can last any number of minutes from 1 to 9. 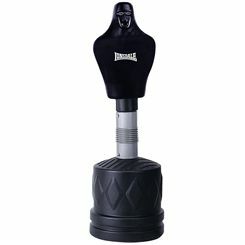 Interval times can be chosen from 0-60 seconds and rest time from 10-90 seconds, both in 5-second increments. 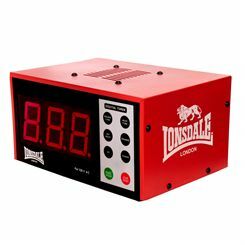 This timer is very practical and easy to use, making it a great fit in gym and club environments. 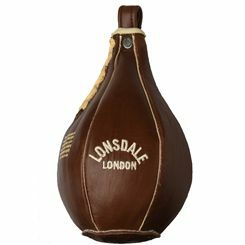 The Lonsdale Vintage 3 in 1 punch bag is a perfect choice for fighters who want to have a punch ball, maize ball and floor to ceiling ball, all in one. 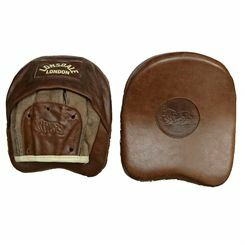 It is handcrafted from top quality, durable cowhide leather and includes a 1” (25mm) inner foam jacket. 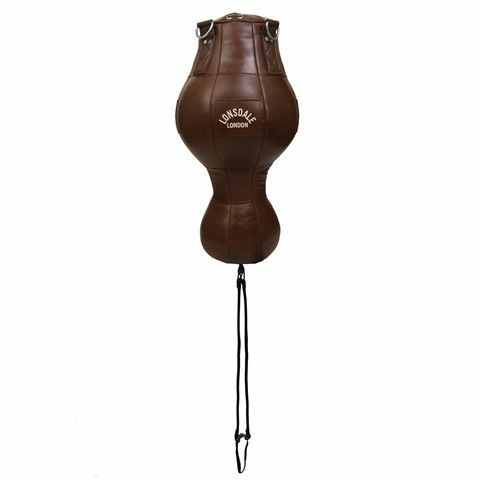 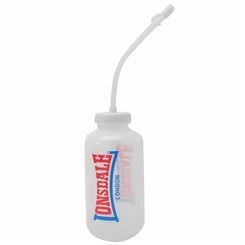 The Lonsdale Authentic 3 in 1 punch bag requires 4 hook chains (not included) and features a soft rag filled lower ball, as well as a granule (maize substitute) filled upper ball to offer excellent training options. 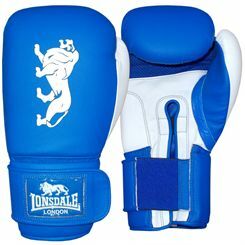 Find a full range of Lonsdale boxing equipment at Sweatband.com. 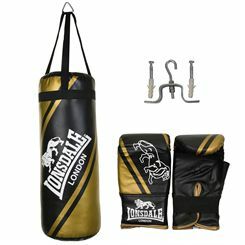 We have Lonsdale balls & trainers, boxing gloves, boxing protection, footwear, MMA equipment and punch bags, all available at unbeatable prices and with free UK delivery.